Where to go with children in Belek? Parents with toddlers prefer a beach holidaynear the hotel. But this holiday is held pretty boring. To unwind and get a new experience, you need to take a walk and a trip outside the hotel. With a child can make a small cruise boat on the sea. A walk lasting about 2 hours of fun for everyone. water park is suitable for active leisure, where you cango with the slides. For the youngest visitors there are special pools and slides. Excellent reviews are left by tourists who visited the dolphin resort. In this place are the dolphins, beluga whales, seals. Walking can be performed through the main streets of Belek, which are decorated with fountains and restaurants. Especially beautiful there in the evenings, when the lights turn on the fountains. 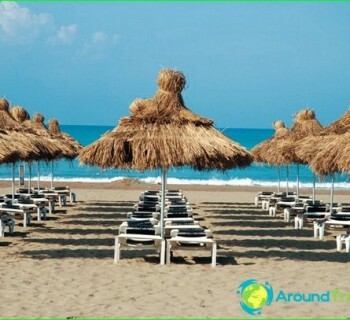 Belek is a huge beach withmany hotels. Each hotel offers quality and rich vacation. For children there is their own swimming pools, water parks, rides, mini-clubs, sports and play areas. So bored at the resort is not necessary, even if the family is not leaving the hotel grounds. Entertainment in Belek can be found for every taste. Tourists ride on a miniature train and buggies, swim in the company of dolphins and try the masterpieces of Turkish cuisine. Near the hotel there is a park Soho Fani Buggy, where the playground for children. There kids ride horses and machines. For fans of history aresightseeing program with a visit to the resort's surroundings. 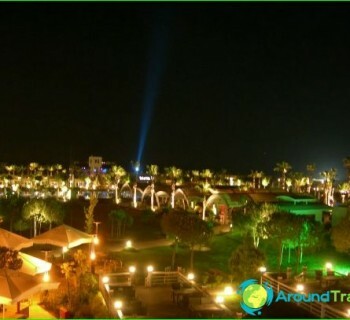 Where to go with children in Belek, so it was interesting? Near the modern city are the ruins of the ancient settlement of Aspendos. There is a beautiful amphitheater, which organizes various concerts. The acoustics in this place is just wonderful! However, viewers have to be placed directly on the stone steps. Aspendos is surrounded by restaurants, which prepare national dishes of Turkey. Not far from the ruins of ancient spread Belekcities of Perge and Sillon. To see the spectacular scenery, visit the National Park and the Koprulu Canyon. Its vast territory is carried out rafting. There is also the ancient city of Selge. Köprüçay River flowing through a canyon known fact that in its waters inhabited by a lot of red trout. Koprulu National Park welcomes guests all year round. Here come the numerous excursions that tourists can see the wildlife of the country.